The ship was an excellent swim thru and very picturesque even with it leaning on its port side. 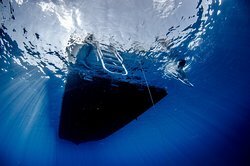 The ship in a great depth for even beginning divers. 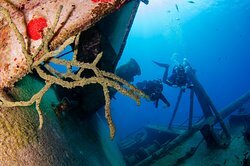 An excellent place to dive even if you are not wreck certified. 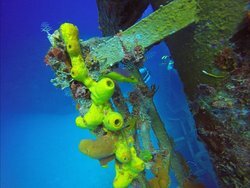 While the hurricane moved the original wreck, it's actually more realistic now. 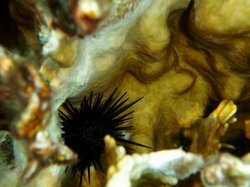 Look closely, and be amazed at the sea life you'll find. Loved the swim through, and searching for sea creatures outside on the upper deck. Totally recommend bringing a small light. 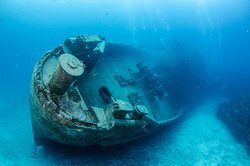 What a fun wreck to dive on. If you are just starting out, an easy wreck to access. There are a lot of openings for easy exit if needed. Great photo OP at the prop. 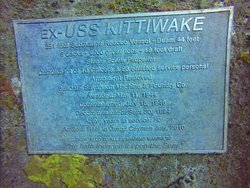 Get quick answers from Kittiwake Shipwreck & Artificial Reef staff and past visitors. 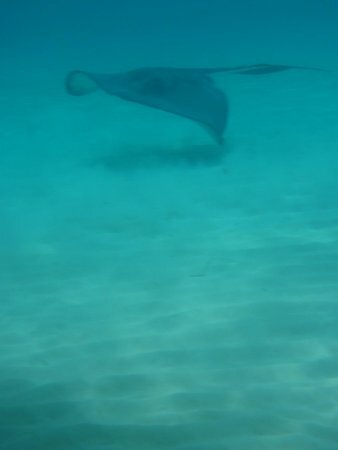 Recs on snorkel operators? 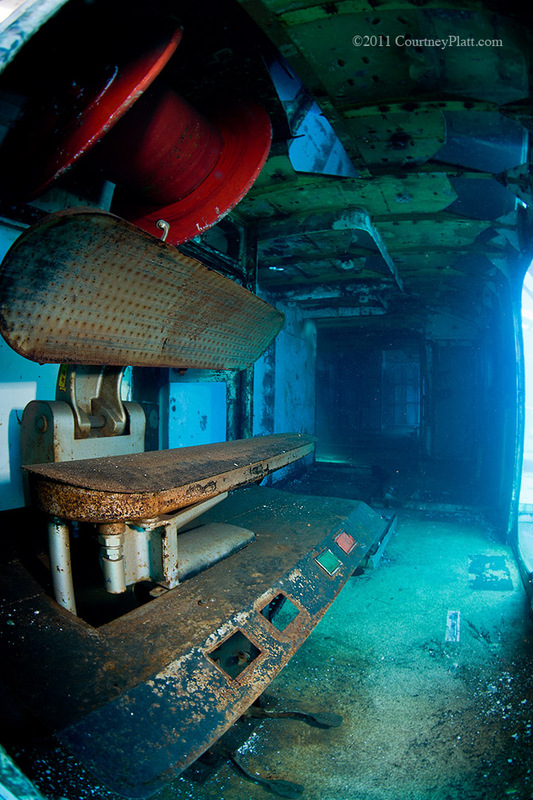 I'm looking for a snorkle operator,but cant find any for the kittiwake. Ideas? 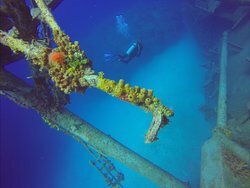 The wreck used to be more accessible to snorkelers. 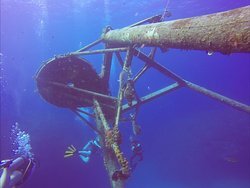 When it sat upright in the water, the top of the tower was about 12 feet below the surface. It rolled on to its port side a couple years ago and now the top of the tower is about 35 feet deep. Most of the time, the water is wonderfully clear, and snorkelers will be able to see much of the wreck from the surface. 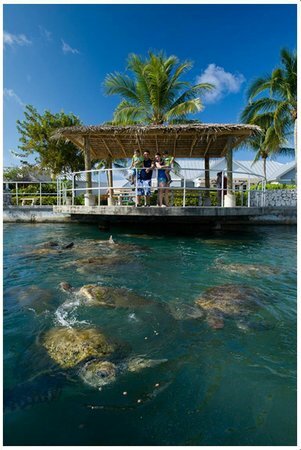 Search on "Kittawake" & "snorkel operators" and you will find a couple boats that cater to snorkelers. I am a certified diver and my daughter is not. Are both options available with gear on this excursion? 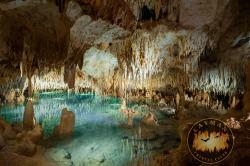 Depending on which operation you go through both snorkeling gear and scuba gear are available. Typically dive gear is not included in the price for scuba while snorkeling gear usually is. 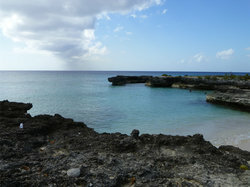 There are a number of diver operators that take snorkelers and divers to this site. Hello. Not certified...can I snorkel down to see things and comfortably make it back up without restrictions (entrapments). 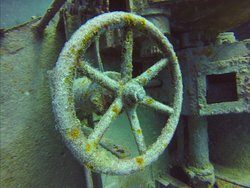 Even if you are a very good snorkler, this wreck is probably too deep. Upper portions of the wreck are approximately 50 to 60 feet down and the penetratable portions even deeper. 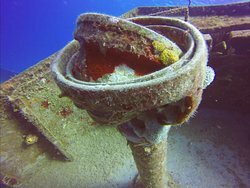 It used to sit upright and the upper portions were within 30 feet of the surface, however the last hurricane pushed it over on its side and up against the reef. While the wreck is very clean, the provlem us one of depth. Sorry mate.